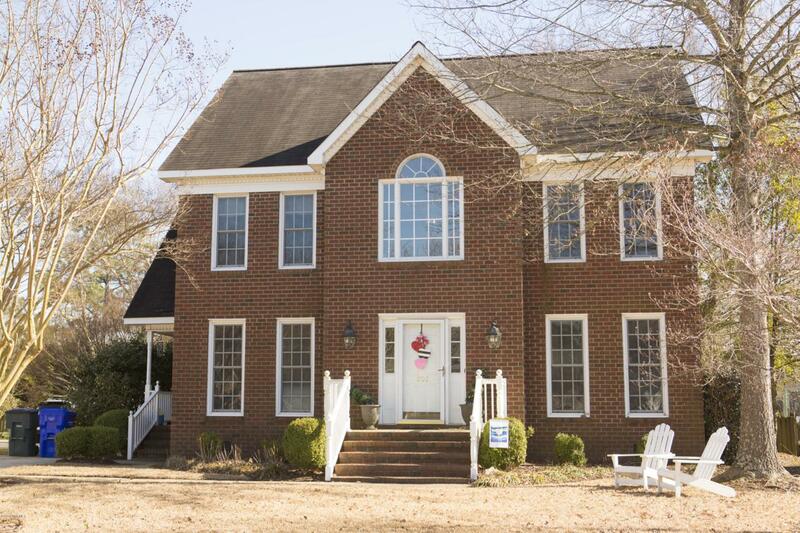 Exceptional brick home on a culdesac lot in centrally located Treetops. 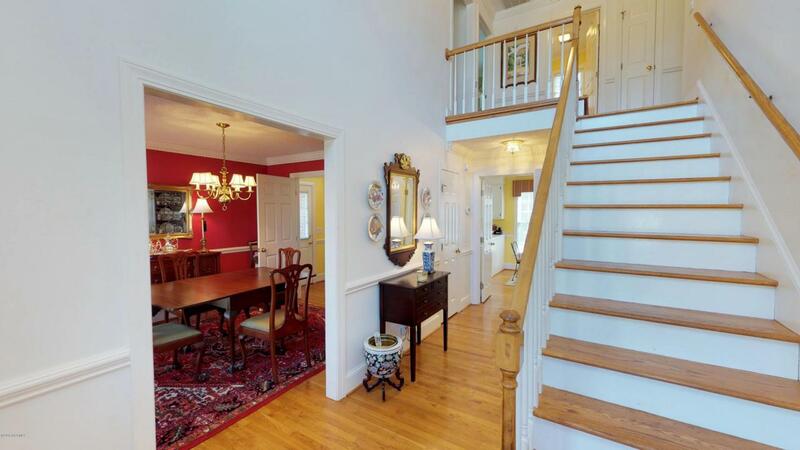 Striking two story entry opens to formal living and dining rooms. 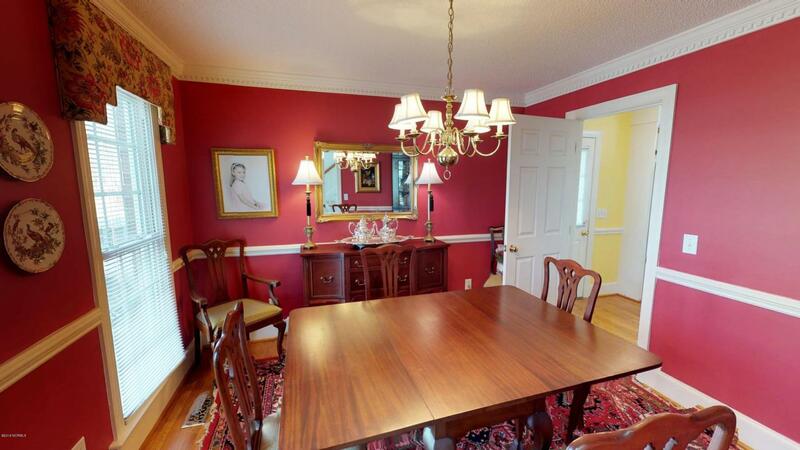 Kitchen features ample counter and cabinet space, eat in kitchen and pantry. Cozy den with fireplace opens to wooden deck overlooking shaded, fenced backyard with storage shed. Spacious master suite with jetted tub, shower, double sinks and walk in closet. Two additional bedrooms upstairs. Able to join Treetops community pool. Updates include gas pak (2011), vinyl windows (2008, Carolina Windows and Doors, transferable warranty), tankless water heater (2015), roof (2011), carpet (2016), wood floors up (2012). 3 catnips at right of mailbox and hostas by birdbath were gifts from grandparents and do not convey. 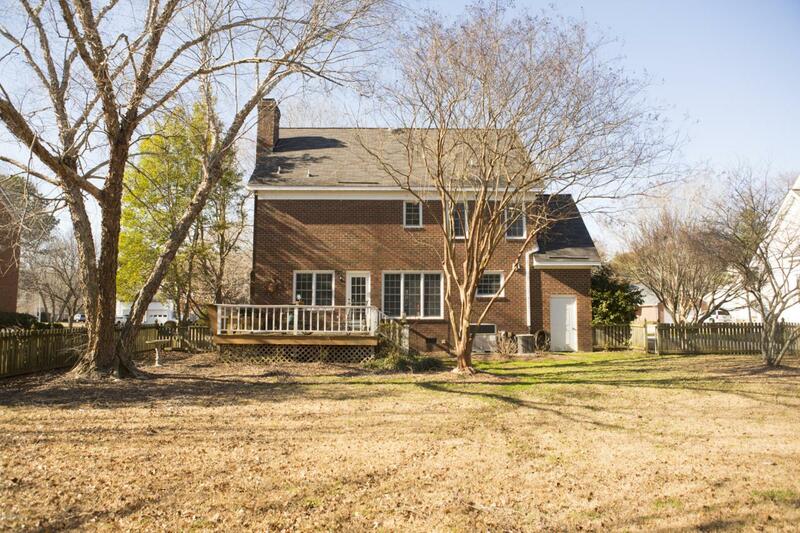 Listing provided courtesy of Sarah Weir of Aldridge & Southerland.